Dr. Dayer is an Assistant Professor of Human Dimensions in the Department of Fish and Wildlife Conservation at Virginia Tech. She teaches an undergraduate/graduate level course in Human Dimensions of Fish and Wildlife Conservation and is a Global Change Center affiliated faculty member. Her research program focuses on social science applied to wildlife, particularly bird, conservation. Dr. Dayer is actively engaged in bird conservation, serving on the North American Bird Conservation Initiative Private Lands Subcommittee and Human Dimensions Subcommittee. Additionally, her Lab is home to the National Bird Conservation Social Science Coordinator – a partner-sponsored position to serve the bird conservation community in meaningful integration of social science. Dayer also sits on the Atlantic Flyway Shorebird Initiative Human Activities committee. Dayer is also a leader in conservation social science. She was elected President of the Board of Directors of the Society for Conservation Biology Social Science Working Group in 2017. She also serves on the Editorial Board of two journals: Human Dimensions of Wildlife and Society and Natural Resources. In 2017 she also contributed to the Advisory Board for the human dimensions national conference Pathways. She is frequently called on for expertise in human dimensions to inform agency policy and programs, including recently as an invited member of two National Park Service Science Advisory panels related to beach-nesting wildlife and invasive species. Dr. Dayer’s educational background includes a BA with Honors in Environmental Science and Public Policy from Harvard University (2001) and an MS in Human Dimensions of Natural Resources from Colorado State University (2006), studying the wildlife values of the Western public. She additionally received a certificate in Nonprofit Management (2008) from Southern Oregon University. 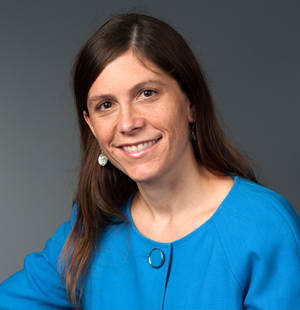 Dr. Dayer completed her PhD at Cornell University (2013). There, she studied the influences on private landowner behaviors to manage woods for wildlife habitat and how communications and incentive programs can be designed to effectively engage various types of landowners in habitat conservation. In addition to conducting research, she was awarded a competitive Land Grant Fellowship to lead and evaluate the effectiveness of extension activities for landowners in New York State, collaborating with a diverse set of partner organizations. Committed to conservation, Dr. Dayer’s work experience in wildlife conservation is extensive. During and after college she worked in marine and wildlife biology positions on both coasts of the United States and Canada. Her environmental education and human dimensions interests developed from observing unaddressed conservation challenges for the wildlife that she studied. After completing her MS, Ashley served as the Education and Outreach Director for Klamath Bird Observatory. While working on her PhD and following it, Dayer worked at Cornell Lab of Ornithology as a Conservation Social Scientist. On the side, she ran her own strategic conservation consulting firm, aiding clients (six bird habitat joint ventures, NGOs, and academic institutions) interested in engaging people for conservation outcomes. She also served for three years as a Visiting Assistant Professor at SUNY – Environmental Science and Forestry before leaving the Finger Lakes of New York for her current position in Virginia. Dr. Dayer lives with her family in the Appalachian Mountains, along a quiet, meandering creek. They spend their free time outdoors on their small farm. Her three-year-old son is an avid chicken wrangler, nature specimen collector, and tree climber. Her baby boy enjoys long walks through the forest. Her husband also teaches and conducts research at Virginia Tech.